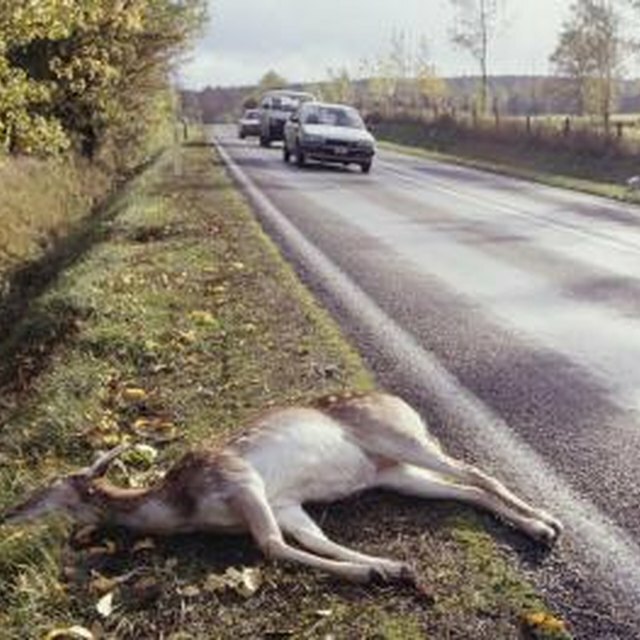 According to an article in USA Today, 1.5 million drivers struck deer on the road in 2006 alone. If you carry comprehensive coverage on your vehicle, it will pay for damages caused by collision with a deer. Auto insurance physical damage coverage pays to repair or replace your car if it is damaged. Collision pays for damage caused by an accident, while comprehensive pays for all other losses, such as those resulting from theft, vandalism and floods. Although hitting a deer is technically a collision, it is paid under comprehensive on an auto insurance policy. This is because insurance companies consider striking a deer as a usually unavoidable occurrence due to the way deer suddenly dart out in front of vehicles. If you live in a state with a large deer population, such as Pennsylvania, carrying comprehensive insurance can save you from having to pay the entire cost of repairs or a new car out of your own pocket.